The recent results of the British elections reveal that at the source of the difficulties of many of todays’ societies is fragmentation. When things are fragmented they can’t function well and are difficult to hold together. What we see in the past British elections is the result of fragmented politics that led to a hung parliament and left the Prime Minister (PM) in a vulnerable position with 8 seats short of the necessary majority to have a well functioning government. Having obtained 42.3% of the votes she is now seeking an alliance with a regional party representing 0.3% of the votes with only 10 seats. This strategy will give the Prime Minister 328 seats in parliament, 2 more than the minimum 326 necessary to establish a minority ruling government and 42.6% of the vote share. This however will leave the country still fragmented, in fact weaker than before, because before the elections the ruling party had 331 seats whereas now under the alliance with the regional party it will have 5 seats less and is relegated to a minority based government. On the other hand the large opposing party, Labor, won 40% of the vote share with 262 seats, a plus of 30 seats. If we consider that the rationale of the incumbent PM to call for elections was gaining a larger mandate to govern there is one obvious conclusion: Her strategy failed badly. Looking at this situation from the perspective of a Mindful Positive Leader (MPL) what becomes visible is an increased fragmentation, as now no party possesses a full mandate. What is obvious to the eyes of an authentic MPL is the need for integration as the first step to correct this state. In Germany Mrs. Merkel and her party CDU have been working for years in the so called Red/Black alliance with their opposing nemesis SPD, the leftist social democrats and nobody doubt the brilliant results of this alliance, the strongest economy in Europe. 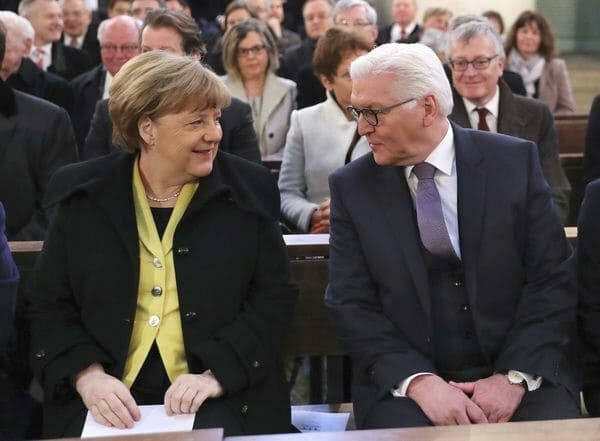 Recently the position of Federal President was vacant and Mr. Steinmeier, a SPD member was elected with the full support of Mrs. Merkel; she knew him well after having worked with him as her Foreign Minister for several years. alliance, the strongest economy in Europe. In Switzerland, my country of residence and citizenship for the last 35 years, the whole government is based by design on politics of integration, meaning that integration is structurally anchored in constitutional rights. The result is a type of government that could be called a Mindful Positive Leadership Political Group. The federal government is composed of seven (7) members elected by the parliament and its composition must reflect the vote share of the population. At the moment, the group includes 2 members of the Swiss People’s Party, 2 members of the Liberals, 2 of the Socialists and 1 of the Cristian Democrats. One of the marvels of highlevel democracy in action is how these individuals and their respective parties fight for their ideas and principles but once they reach a consensus (in which invariably not all get what they want as compromises are required) they then in unison present their compromise and integrated position as one. Each single individual will then stay behind the decision and defend it as their own, in an incredible display of civility, discipline and love for their country. This is even more remarkable given the fact that Switzerland is a multi-cultural and multi-lingual nation. As I am writing these lines I just can’t avoid becoming emotional and getting teary-eyed, thinking about how rare such events are in today’s world politics and business and witnessing on the other hand the harmony that such a process engenders. My friend and colleague A. Stutzer, a tenured professor at Basel University and one of the world’s leading economists of happiness, always tells me that direct democracy and the institutional arrangements of the Swiss political system are one of the main reasons for Switzerland’s high ranking in the world happiness index metrics. We also witness an incipient movement in this direction in the U.S. After an acerbic political campaign between Mr. Obama and Mrs. Clinton, Obama the winner offered his former rival the position of Secretary of State (the third position in line for the presidency) in an integrative move to reunify the Democratic party. Sadly Mrs. Clinton didn’t show the same magnanimity vis-à-vis Mr. Sanders during her last campaign. Had she offered the VP position to Mr. Sanders maybe someone else would be in the White House today. 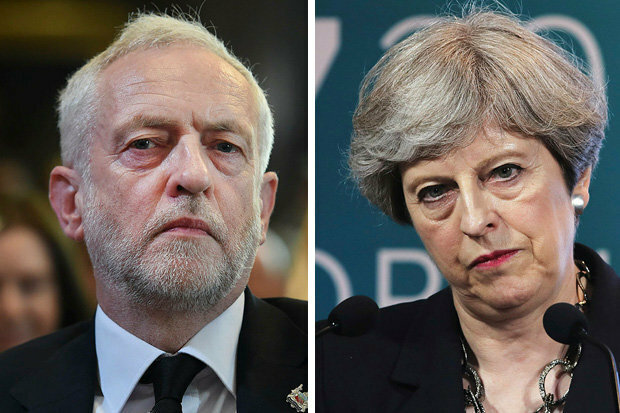 In the same line of thoughts the British Prime Minister, Mrs. May, could in an act of integration offer Mr. Corbyn the possibility of forming together a government of Super Majority that would represent 82.4% of the vote share. Obviously this would require largesse of spirit and putting Britain first and above personal considerations from both protagonists: Mrs. May to offer and Mr. Corbyn to accept the deal. It would not be easy but there are excellent precedents as the German and Swiss cases so well exemplify. That would make them both Mindful Positive Leaders and they could create a Mindful Positive Super-Majority Government that has the potential of delighting and bringing tears of joy and wonder to the eyes of their British citizens. Mindfulness in the workplace is getting a boost: MBSAT Teacher Training launched!